"These things are just great - it's all I use now." 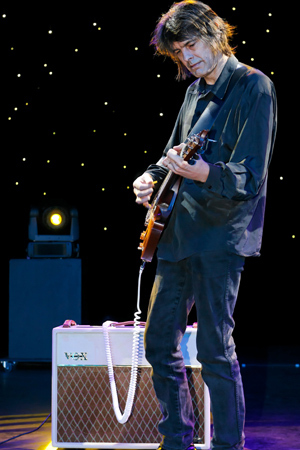 Stuart 'Chet' Fraser has been playing the guitar professionally since the age of 15. In 1992 he and Jon Stevens formed the band Noiseworks who went on to record three multi-platinum albums. Outside of Noiseworks Stuart has been at the forefront of guitar session playing in Australia, and has performed with the best in the industry. He was a member of the Jesus Christ Superstar band in 1993, and in 1994 joined the John Farnham Band where he played until John's retirement in 2004. Stuart has also worked with Tom Jones, Ray Charles, Boz Scaggs, Kylie Minogue, Joe Camilleri, Tommy Emmanuel, Tina Arena, Olivia Newton-John, Nick Barker, Diesel, Daryl Braithwaite and David Hirschfelder. He has also collaborated on several projects as performer, producer, composer for albums, commercial jingles, television shows and theatre. Stuart worked with Chong Lim on many of the recordings for the Sydney Olympic Games, and has been a member of the 'Dancing with the Stars' band since the popular show's first season.